The Ontario HVAC/R industry can say goodbye to a number of energy efficiency rebate programs. On March 21, Greg Rickford, the Ontario Minister of Energy – Northern Development and Mines, discontinued many programs within the Conservation First Framework which included the popular Heating and Cooling Incentive (HCI) program. 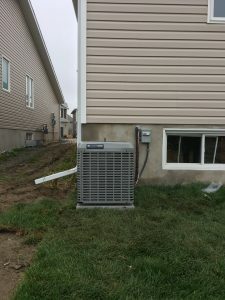 The move is part of an initiative intended to “reduce costs by centralizing and refocusing conservation programs.” The heating and cooling program was set up to provide rebates for purchasing and installing qualifying energy-efficient heating and cooling equipment (central air conditioning and furnaces), including smart thermostats and air-source heat pumps. It was originally launched by the Ontario Liberal government in 2006, but elements and terms have been altered from time to time over its 13 years of operation. It was originally labelled the “Cool Savings Rebate Program.” It is managed by Summerhill Impact, a Toronto-based non-profit environmental action group, in partnership with the Heating, Refrigeration and Air Conditioning Institute of Canada (HRAI). More than a million rebate cheques have been issued to homeowners. Just over 1,400 contractors are currently registered in the program. The new Conservative government aims to save electric utility customers and taxpayers up to $442 million over the next three years through restructuring and refocusing of conservation programs. HRAI has already notified contractors registered in the program. Projects that have been completed and submitted for payment will be processed. Those contractors will have until May 31 to submit incentive applications for projects with an installation date of no later than April 30. No new applications will be accepted after May 31. To receive a rebate, participating households will be required to submit proof of purchase and sign-off on the application submitted by their participating contractor before July 1. Moving the program delivery process from local distribution to central program delivery should reduce the costs of program oversight, administration and delivery and end up saving $150 million in bonus payments, the government reports. Legislative changes are also expected, enabling the Independent Electricity System Operator (IESO), which manages hydro in Ontario, to accept tax base funding to fund conservation in the future, reports HRAI. These amendments would provide flexibility to the government to take costs out of the electricity rate base. Additional expected changes will affect the retrofit program, small business lighting program, energy manager program, process and system upgrades program, industrial accelerator program, energy performance program, home assistance program, and targeted programs for on-reserve First Nation communities. In addition to the heating-cooling incentive program, the business refrigeration incentive, audit funding program, high-performance new construction incentive, existing building commissioning program, monitoring and targeting program, instant discounts program, and residential new construction incentive program will all be discontinued. “Winding down these conservation programs will refocus conservation programs to those who need it the most, including low-income families, small, medium, and large business, and First Nations communities,” reports the Ontario government. HRAI plans to discuss things further with the Ministry and the IESO to assess where opportunities might exist in the framework to position the HVAC/R industry positively, said HRAI vice president Martin Luymes. HRAI expects no new residential programs introduced before the end of 2020.